Lil' Blue Goat: Groundhog Day - AKA "OMG How Much LONGER?!" Groundhog Day - AKA "OMG How Much LONGER?!" "WTF am I doing up? It's dark. It's cold. The days seem to drag on forever despite being short, yet nothing seems to be getting done. I'm literally sitting here waiting on the sun. IS SPRING EVER COMING?" It feels like waking up to the same dreary winter day over and over. And over. We humans need to know that there's a light at the end of the tunnel. That the sun will come back. 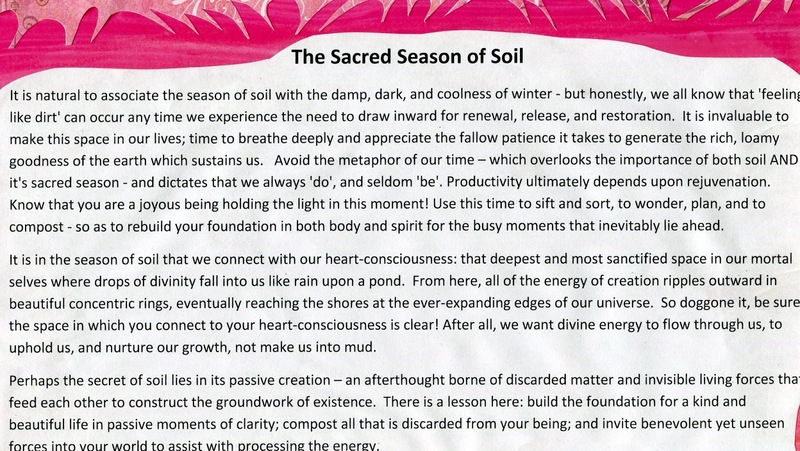 That the seeds will stir in the soil. That our art will stop looking like it was painted with a broom held between our elbows (ok maybe that's just my issue). This is why ze Hunki and I build lights and chandeliers this time of year. It's why I pour over seed catalogs, and then check the chard and spinach and wish they could also be tomatoes and peppers (I'm sick of chewing on greens by February - but don't miss this amazeballs article about the history of collards!) 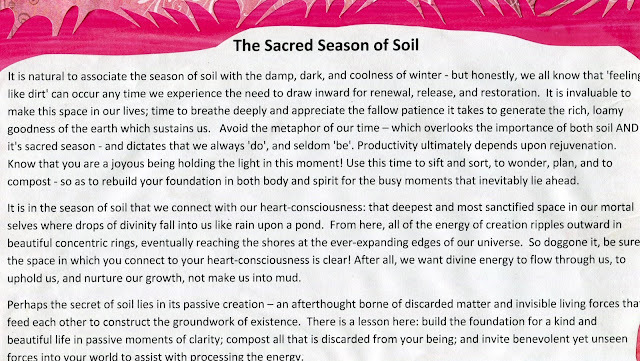 It's why we wait for a rodent to forecast the weather, and, with some reluctance and embarrassment to share, it must be why I wrote this dippy, trippy ode to The Season of Soil about five years back. I think I'll start celebrating Groundhog Day more earnestly... remembering the advice my younger, somewhat wiser, hippy-self provided above: Relax. Let it flow. Clean out the clutter and fluff the nest, purge the bad because good things are germinating... and go back to bed with that nugget of Valentine's Day chocolate - because EVERYTHING is worth celebrating.